I’m not much of a talker in real life. I’m almost always the quieter side of a conversation, the one who’s usually listening rather than talking. (Is it even a conversation if the exchange isn’t equal?) It’s not like I don’t have opinions- I do. I just usually keep them to myself. Maybe blog or tweet about it. I sometimes make small comments and start small talks but that’s occasional. I’m more comfortable when I talk about things I like- books, photography, etc. Still, I’ve never been particularly good at expressing myself. (Whether it be on or offline.) Pretty ironic since self-expression is supposed to be what blogging is about, right? Anyway, I’m going to skip that impending pity party. I’m just going to say it: DISCUSSIONS SCARE THE LIVING CRAP OUT OF ME. Well not literally, obviously. And not as intense as the capslock words imply. But I tend to shy away from full-on discussions because I doubt that I’d be able to keep up. I fear argument too. I don’t know why, but I keep thinking that’s what discussions are all about. Lastly, I’m scared of boring readers with dull talk. I’m probably boring you right now, huh? So let’s get to talking and exchanging thoughts! How do you feel about discussions? Have you ever held back from them? Have you ever felt nervous about saying what you want to say? How come? Are you doing discussion posts on your blog, if you have one? Why or why not? What do you like about discussions? Here’s a total noob question (which will benefit me greatly) – How does one write a good discussion post? Speak up! I would say that my favorite & also my most popular post are my discussion post. I’m quite a fan, because I think discussions just really are a great way to give insight into the blogger–their creativity, what they think about, etc. And it’s always fun to mix up discussion posts between serious and non-serious/fun ones, in my opinion. The first few times I wrote discussion posts I was also really wary about arguments and meanness, but honestly, it’s never been a problem. Do some people disagree with me? Of course, and I’m glad they do and join in the discussion. But I’ve never had a dialogue on a comment thread on a discussion post that wasn’t respectful and interesting. Everyone has always seemed interested in the spirit of dialogue, and I’m not as wary anymore. Great for you then, Stormy! So true- discussions really give a glimpse of the blogger’s mind! I love getting to know more about people’s thoughts and ideas and discussions are the way to go! I guess now that I’m starting discussions, I’m giving people a piece of my mind too. It’s awesome that book bloggers manage to oppose opinions in such a respectful, non-offending way. I’ve been pretty scared that some bloggers might not like my reviews as well but even when they don’t agree, they’re pretty cool about it- still acknowledging my efforts for writing an insightful review. Well, I usually express what I like. But in the end, I just get ignored. Y’know, when people are there and when you speak they pause and continue on like you never said anything? So… yeah. I ADORE reading discussion posts. But participating/writing my own? That’s an entirely different story. It’s not that I don’t have anything to say because I do, I just find that I prefer having discussions in person. At least for me, it’s difficult to read people through text and I’m very social IRL, so it’s just easier for me to communicate face to face. Also, I’m kind of like you in which I like to keep a lot of my opinions to myself. Sometimes it’s because they’re unpopular, and also you’d have to really know me to understand where I’m coming from, and I don’t think that’s totally possible online. Same here! But unlike you, I’d rather do discussions online rather than in person. I’m probably a little hopeless when it comes to both but I find that the former is much easier since I don’t have to come face-to-face with anyone. The idea of doing discussions in person, that’s even scarier. (I don’t participate in class discussions much, if you’re curious.) I like chatting with friends sometimes but we mostly gossip haha! (I guess that’s a different kind of discussion?) Guess we’re kinda opposites – I think my opinion is too common sometimes. I guess it’s why I keep thinking I’ll bore people out of their minds. I added a regular discussion post into my blog quite recently. They have become the more popular posts in terms of views and comments. Some weeks there is a higher response than others but that’s ok.
I’ll admit that I find it easier to write my discussion post than to comment on other people’s, although I do try I just don’t know if I ever bring something of value to the table. They are my favorite posts though and I try and comment on everyone I find. When it comes to face-to-face discussions I normally lose track of the point I’m trying to make or struggle with word choice (that is actually due to a medical issue but it embarrasses me). I’m the opposite- I find it easier to comment on other people’s discussions. It may not look like it but this post was not easy to put together for me and commenting on other blogs seem relatively effortless. I rarely do face-to-face discussions that I actively participate in. I’m usually the one making side comments and laughing along. I totally understand where you’re coming from! I am generally a shy person who does not speak her mind except with the people I am closest to. However, I did just start writing discussion posts recently too. Like you, I wonder if my random thoughts on things will bore my readers. And I’m sure some of my discussions have. Some of my discussions have received tons of comments and others only a couple. But, that’s okay. I’m still getting the hang of it. Hopefully, the more I do, the more interesting they will become and the better I will be at expressing myself. But, I do fear that eventually I will run out of things to say!! I just had to try it out, though. I love reading other discussion posts. And now I love writing them…well, maybe not the actual writing of them because it’s hard expressing myself in that way. But, I love getting comments and the result of interacting with my readers. It’s a great experience! I think you should definitely join discussions! I’m with you on the whole anti-conflict aspect, but really there is no need for that to ever happen. I have only once ever had a negative comment arise from a discussion post, and that was only due to the person commenting misreading the post and not taking the time to discuss it in a mature way. But, if you write your posts in a respectful manner then arguments should never happen even if people disagree! They’ll just share their thoughts in the comments and it can be quite interesting to compare. I just don’t think I’m any good at debating with other people. And I don’t want negative comments to ruin my blogging experience. It’s just an irrational fear, since in reality, I don’t think what I write would spur issues. I’ll keep your tip in mind, that’s for sure. I love discussions! They’re definitely a way for me to get to know bloggers better. I’m only nervous to join in when the discussion is particularly controversial. I usually have an opinion, but I don’t want to offend anyone, so I’ll mostly stay out of those unless I’m feeling particularly bold and brazen. We do discussions at Nawanda Files pretty infrequently because they take a considerable amount of time to write. But when we do, they’re usually the most popular posts. I think the best way to go about a discussion is how you did with this one! Ask questions at the end to open up the topic to other bloggers and get us thinking. You should do them more, Hazel. You’d be good at them! Seems like everyone loves discussions after all! I’m definitely the same- I love getting to know bloggers more through them. I agree! Controversial topics are tough! I hold back often when it comes to those too. I’m an introverted person in real life, and like you, I struggle to sustain small talk with someone. But I love discussions on book blogs. I feel like they’re easier to enter into than discussions with people outside of the blogosphere because you know straight away that you’re on common ground. 9 times out of 10 the topic will be something you also have opinions about as a fellow book blogger, whereas in real life if someone struck up a discussion about, I don’t know, the importance of vegetarianism I’d kind of just be like, “Yeah, well, uh, I don’t actually have an opinion?” Discussions on book blogs are something I know I should be able to participate in. I also think they’re more all-encompassing than book reviews. I know it seems kind of counter-intuitive because aren’t book blogs supposed to be all about the reviews, according to popular opinion? But I know a lot of bloggers, myself included, steer clear of reviews for books they haven’t read to avoid spoilers or to avoid leaving meaningless comments. At least with discussions, I’m not limited by anything — even if I don’t have an opinion beforehand, I can talk about how the poster’s opinion has shaped my own, or how they’d brought up points I hadn’t thought of. Casual conversations just aren’t for me. I’m a heart-to-heart kind of girl but I only have a few people I can confide in really. Book blog discussions kind of feel like heart-to-hearts! After all, we all have the same love for books. And I agree- knowing that you share something in common and that you actually have an opinion, that definitely makes things more discussable. I sometimes discuss things on my blog, but I find it hard to come up with things. I currently have a returning thing called ‘The hard life of a reader’ and I get great response :D But when it comes to discussing one thing only, I find it hard; especially because I’m not English and I find it hard to translate my Dutch thoughts into good English sentences. I don’t want people to read my opinion the wrong way. Me too! I feel like I get to know bloggers more through them. I don’t throw opinions out either, unless necessary. I have this tendency to keep them to myself though. Subjects that make me nervous are those I don’t like or have no opinion about. And of course, the audience matters although I’m also rather quiet when discussing with friends sometimes. I actually think coming up with ideas is easier. What to write about it though, that’s the hard part. Your Hard Life of A Reader posts are great- no wonder they get fantastic response! I don’t think you have to worry about people reading your opinion the wrong way. You really state your opinions clearly! As for me, I love discussion posts. It’s cool to see what kind of topics us book bloggers can come up with, and they also make for building more friendships. Because without friendships, the blogosphere would be a cold, lonely place. 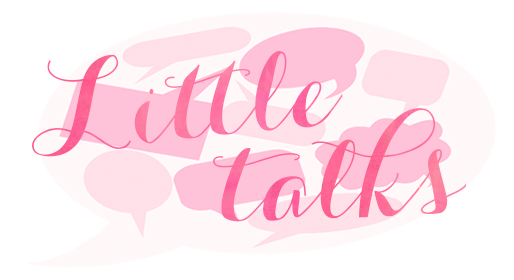 I do discussions mainly because (a) I love them, (b) it gives me an excuse to ramble on and on without fear of anyone judging me, (c) I’m always up for more personal and original content on my blog. Don’t worry too much about discussion posts, though! There’s no right or wrong way to write one — just write them. Like the way you would with a review. Once you come up with a topic, think of all that you want to say about it, then put your thoughts into words. A good discussion post is one that encourages all readers to participate. It could be something that relates to them, or could be something they find funny, or could be something totally out of the world that they just HAVE to comment! Also, a good way to spark off discussions in the comments is by ending the post with questions. I find that really effective! We’re alike that way! I have a great group of friends but as much as they’re fun to be with, I’m just not a chatty person. I’m definitely more sociable online, although I’m still not that good at keeping up with longer conversations. I dunno, Megan. I sound boring to myself. But thank you! I’m so glad you like my posts so far. <3 <3 <3 Now that I've braved the world of discussions, I understand why they're so popular! I really hope my future discussions will attract this much interaction too! 'Write caps.' Ha- that's great advice! I definitely love seeing what other bloggers have come up with too! And I love that they build friendships and camaraderie between bloggers. So true! Friendships do make this community so much better than others. I can definitely relate to your reasons for blogging, especially the last one. I love that discussions, whether the topic was already talked about before or not, seem unique and original every single time because we all have different personal opinions. I love the spontaneity that overcame me when I wrote this post. It came from nowhere but I'm pretty proud of it since it allowed me to hear everyone's thoughts! I hope more people participate and discuss with me! Don’t be scared of discussions! They love you! ;D Come into its welcoming arms! I was intimidated by discussion posts when I first started doing it, but I grew to enjoy it. I love getting people to think and talk about my discussion post. It’s a really satisfying feeling when people put their two cent in. Discussion posts bring people together and who wouldn’t like that? With discussions, I try to be witty, but I always think I sound condescending. D: Not intentional at all! I try to stay away from discussions on controversial topics. I hate conflict and when I’m faced with one, I usually get flustered and stumble over my words. It’s the worst. Sure, I want to join in, but I always fear I won’t express my opinions articulately which would lead to somebody totally misunderstanding what I’m saying. Remember that no discussion posts are boring. As long as you have people talking, you have a good discussion going (like this post!). Ahhhh, same same same! That’s exactly why I hate arguments! I don’t like getting flustered and embarrassing myself. I’m just hopeless when it comes to debate. I totally get what you mean, Cee. I don’t think you need to be afraid of discussion especially if you’re close friends with that person. Friendships are all about sharing opinions and in life you can’t avoid arguments because sometimes there’s that person who you just don’t get along with or agree with there idea. I don’t think I’ve ever had the trouble with letting my opinion be known but if there is an argument and I back down sometimes it’s just because I can’t be bothered to deal with it. But I think you should definitely overcome this fear and let your opinions be known! 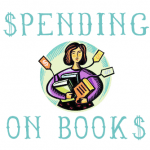 Discussion posts are my favorite posts to read in a blog under book hauls. They’re so interesting and some people come up with the most awesome topics ever! I love how I could also discuss and say my opinion on the topic. I know how you feel about having arguments in a discussion post. I’m kind of scared on putting my opinion on something sometimes too because it might lead to a disaster lol. But discussing should be discussing, not fighting. Yes, I agree! They’re so enjoyable because they make you think and ponder! And I love commenting too, but I’ve never initiated a discussion ever. But now that I’ve done it, it feels great! :) i just really hope that I get this much interaction in the future and that I never experience negative comments! I’m just really scared of conflict. But you’ve got a point- discussions should not lead to verbal battles. 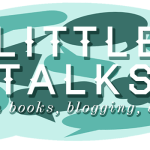 I started blogging no that long ago and haven’t tried a discussion post yet. I think if I ever came up with a good idea for one I would do it. However, coming up with an original idea can be tough. I can easily do tutorials because there is a step by step process for writing those. I love reading discussion posts though and a lot of other bloggers do as well. My blog hasn’t been around for long either, just about four months or so. I think you should definitely give it a go! True, coming up with something original is hard. But I think as long as you spin a topic in a way that is your own, it can work. I dunno, tutorials seem more complicated. Sure, you just have to elaborate a process, but I’m always conscious about visuals for tutorials and visuals take a lot of time and effort. Hello there, fellow Filipina. Nice to meet you BTW. This post greatly resonates with how I felt when I started thinking about featuring discussion posts in my blog. Like you, I am not the type to start conversations. I prefer to listen and lurk around. I prefer to comment on discussions instead of starting one. But when you’re a blogger, it’s hard to just feature the same things over and over again because that would be quite boring. I for one loves variety even if I’m not that creative, thus, I considered to start a discussion feature on my blog. At first, I was really afraid because I wasn’t sure if my discussion posts are making sense or if my grammar is correct. Hahaha. I think not growing up with English as my dominant language will always make me feel insecure about grammar and sentence structuring. But I ignored the insecurity whenever someone leaves a comment on any of my post. That just means that they understood it. Hahahah. How do you feel about discussions? I love them because it’s one of the surest ways I can interact with fellow bloggers. I have a hard time socializing in Twitter. Plus, it makes me really think hard which I love because discussion posts remind me of those horrible essays in school. Have you ever held back from them? As long as your posts are not offensive (i.e. being racist, condescending, sexist) to fellow bloggers and readers, you shouldn’t hold back from them. Have you ever felt nervous about saying what you want to say? How come? Yes. All the time. As I’ve said earlier, it has something to do with: “Does this make sense? Is my grammar correct? Is it coherent enough to make them understand what I’m trying to say here? Here’s a total noob question (which will benefit me greatly) – How does one write a good discussion post? I don’t know. I am not sure if I am good at writing discussion posts. All I can say is just be honest. I def love discussions too. But twitter! Man, I love twitter. I don’t use it much to discuss but I just really love tweeting in general. I love that about discussions too- they make you think! I’ve only held back from discussions because I’m shy. And I’d never intend to come off as offensive with my posts! I don’t like conflict or demeaning people. I’ve never been nervous about saying something due to grammar but I am conscious when it comes to this aspect. I’m mostly nervous because I’m scared of boring people to death, haha! I’ll definitely watch out for your discussions then! And witty discussions are the best! I value honesty too, and I think it’s really important to be truthful when it comes to blog posts. I think almost everyone likes discussion posts. I don’t do many because I have a hard time coming up with topics, or I’ll think of something and then not have enough to say about it to fill a whole post. Based from the comments I received here, everyone really does like discussions. I think coming up with topics is quite easy but it’s the latter that is so hard! I keep running out of things to say! I post discussions because they are just so fun! Plus, they are something that almost any blogger can comment back on so those type of posts almost always have the most interaction on them. How to write a discussion post? Well, just try to write your opinion down. Be honest and don’t try to please the readers by saying you have a opinion you don’t. That’s really all I can say! I get all the fears you have I had all those too. My biggest fear was that I would write a discussion post that no one cared about and that no one commented on. But at the end of the day, that is the worst that can happen! And it hasn’t happened, I do discussions posts once a week and they get by far the most views and comments on my blog. People love to hear what you are thinking so I’d just go for it. I keep track of any ideas in a notebook and then just write about them. I try to think of both sides of what I’m trying to say but that’s about it, I have no other format or tips. What is surprising though is that I find they are easier and quicker to write than a review and you can really let your personality loose in them. Like a lot of the commenters here, I enjoy reading them but am rubbish as posting my own. Every now and then an idea might strike, but otherwise, I’m not sure that I can keep up with them! Same! But i really hope I get better as I write more of these! I don’t have a hard time thinking of ideas on what to discuss (I already have a list of topics I want to tackle), but I find writing and elaborating about them pretty challenging. I love discussion posts. They’re a major part of why I choose to follow the blogs I do. Far more interesting than reviews or memes (although those posts can sometimes prompt discussions in the comments). There’s nothing to worry about when writing discussion! Just sit down, ignore all your doubts and write what you’re feeling. There isn’t a “right way” to write discussions. If people comment and read, then that means that they’re interested in your opinion! And I’m pretty sure I’m curious about what you’ll be writing next. I was really ‘meh’ before, but lately, discussions have become my favorite thing, haha!